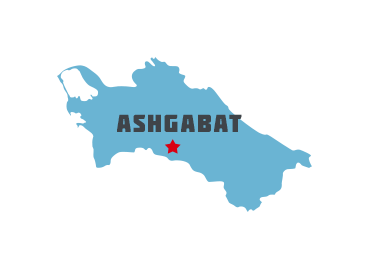 The most densely populated areas are the southern, eastern, and northeastern oases; approximately 50% of the population lives in and around the capital of Ashgabat. Present-day Turkmenistan covers territory that has been at the crossroads of civilizations for centuries. The area was ruled in antiquity by various Persian empires, and was conquered by Alexander the Great, Muslim armies, the Mongols, Turkic warriors, and eventually by the Russian Empire. In medieval times, the country was an important stop on the Silk Road. Annexed by Russia in the late 1800s, Turkmenistan later figured prominently in the anti-Bolshevik movement in Central Asia. In 1924, Turkmenistan became a Soviet republic, and achieved independence upon the dissolution of the USSR in 1991. Extensive hydrocarbon/natural gas reserves, which have yet to be fully exploited, have begun to transform the country. Turkmenistan is one of the most difficult countries for evangelical churches, and the government maintains tight control over religious groups. SGA partners discreetly help provide ministry support of missionary pastors, as well as children’s ministries such as Orphans Reborn, summer camps and Immanuel’s Child. Faithful SGA-sponsored missionary pastors and their churches reach out with the Gospel in a variety of ways.